As I celebrated my 29th birthday with family and friends the verdict for the Zimmerman case was announced. The evening that began as a celebration of life, quickly turned into an introspective night of sadness, anger, frustration, and a whole heap of questions. My cousin, who is the father of a 3 year old son said “it’s safer for my son to be gay than to be black in this country” lamenting on the recent Supreme Court decisions. My mother reflected on the lack of congruency for what is a convictable crime. She spoke about the Michael Vick case where he served 21 months of jail time for hosting an illegal dog fighting ring. We talked about Jordan Davis, the teen shot in cold blood because his music was ‘too loud’, and the police officers in Cleveland, Ohio that fired 137 shots at an unarmed couple. Others mentioned Marissa Alexander. A mother who was sentenced to 20 years in jail for firing warning shots at her abusive husband. The common theme of the evening: What is a Black life worth in America? My party grew dreary, some people overcome with grief left the gathering early, others poured another drink to numb the reality if only for a moment. The two women left standing at the end of the night decided to take me to a bar for one last drink. We sat outside on the patio. As I was sitting, I look up and see a bug on the wall right near me. I immediately tense up, I scoot my chair over out of the way, and it becomes virtually impossible to continue the conversation with my friends. I can’t stop staring at the bug. It frightens me. And then as I’m eyeing it… a centipede scurries by and I jump out of my chair! I eventually calm down enough to sit back down but the very first bug is still in my peripheral view. And that’s when it becomes clear. I’m a little more like Zimmerman than I’d ever like to admit. I am consumed by “bug bigotry” perpetually. Bugs make me uncomfortable. I don’t like the way they look, because they don’t look like me. I don’t understand them, we communicate differently. I don’t know why they have to be in the same space as me; after all, I am human. And if a creepy crawler is inside my home… I will do all that I can to slay it like the dragon I imagine it to be. Once when I was in college, I made my partner drive 20 minutes to my apartment to kill a centipede that was crawling through my bedroom. As a child, I loved to play with worms. I’d dig them up put them in containers, leave them on my back porch to play with the next day. But after seeing hundreds of worms cover a parking lot pavement after a thunderstorm, they too began to make me uneasy. Even as I type this I can hear the sounds of crickets and other bugs outside my window, and my anxiety mounts. I’ve been taught that bugs are gross. That while some bugs have a practical purpose, they essentially do more harm than good. If you have bugs in your home you’re seen as dirty, unclean, and slovenly. There are some that are acceptable if they look and behave a certain way; like ladybugs, lightening bugs, and caterpillars. But you can’t be an ant, spider, a centipede or heaven forbid a roach. In the event bugs find their way into your home, you keep repellants hidden away to eliminate them without letting friends, family or guests know you’ve had to deal with them. There is a distinct difference between Zimmerman and I. My fear does not lead me to pursue the very thing that essentially strikes terror in my soul. I tend to avoid the things that put me in harm’s way. When my homegirl offered to execute the bug I told her quickly “No. The bug is not harming me. We both belong here. I’m bigger and stronger than the bug. It would be so wrong of me to harm it simply because of my fear. 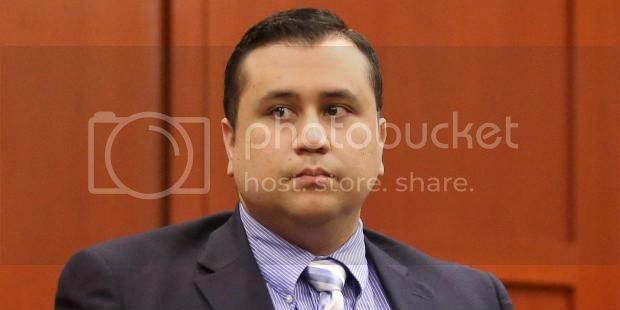 I’d be no better than Zimmerman.” If fear is a tree, bigotry is the fruit it bears. I had long since heard the Cornel West quote “Interrogate your hidden assumptions” and though I knew what it meant in theory, I finally could feel what the action of interrogating my bias felt like. I understand that my disdain towards bugs is because I refuse to acknowledge their humanity. When an unarmed teen can be stalked, shot, and killed I am certain that the culprit could not see the humanity of that child. Zimmerman functioned on assumptions alone. It’s troubling to know that hatred of a group of people could run so deep that some feel the only way to handle the problem is to lock them away, push them out of their communities, or squash them like a bug. The plan towards restorative justice must shift and there is a huge amount of uncertainty as to a strategic plan of action. The act of existing in America as a Black person is a threat. It allows no space for imperfection. Not even having a Black man as President of the United States can shift the pedagogy of bias. Our very skin incites terror. And though this terror does not always manifest in gun violence, it is perpetuated via legislative, economic, and judicial violence. It is also felt through and through by macro and microagressions. So today I understand how the fabric of America is a tapestry of bias and bigotry that some folks wear like the Emperor’s New Cloak. Everyone can see that you’re naked… except you.